I highlighted cap toed shoes as an upcoming trend back in April and it's definitely gaining momentum as more and more options become available. 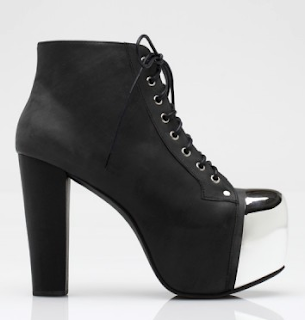 Possibly one of the more covetable pieces for fall have to be these Jeffrey Campbell cap toed Litas! I was seriously sick of this shoe over the past two years but this has reinvigorated my love! Buy at Need Supply for $160.